A pool we resurfaced in Darlington. Bubbles and black spot were a major problem with the gel coat surface. 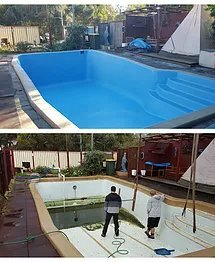 We repaired and renovated this pool to a high standard.